Bio: Bonnie Paruch is a signature member of the Pastel Society of America, and a member of The Oil Painters of America (OPA). Her bold and impressionistic oil and pastel paintings have been exhibited in many national and regional exhibitions. 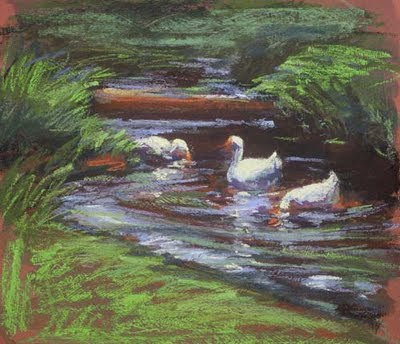 Bonnie described her plein air paintings and techniques in an article she authored in the May/June, 2002 issue of International Pastel Artist. Gallery: divided by media for available works; The archives folder offers no data on medium or size; in this folder the images are thumbnails that won’t enlarge.